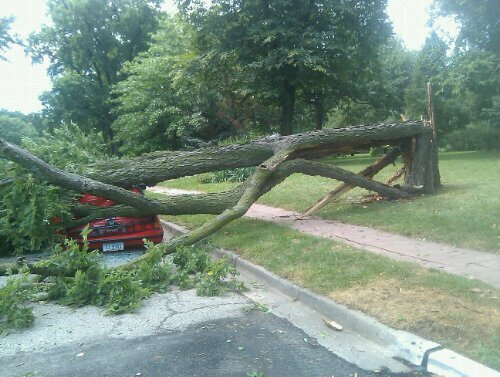 Sunday was not going to be a day of rest for many Lincolnites after a thunderstorm ripped through the city Saturday night, taking many trees with it. Left in the wake of damage were many trees resting on roofs, trees blocking entire streets (including 16th Street south of the capitol) and trees downing power lines. A tree from a house on the corner of Sheridan Boulevard and Woodscrest Boulevard landed on a car Saturday night. 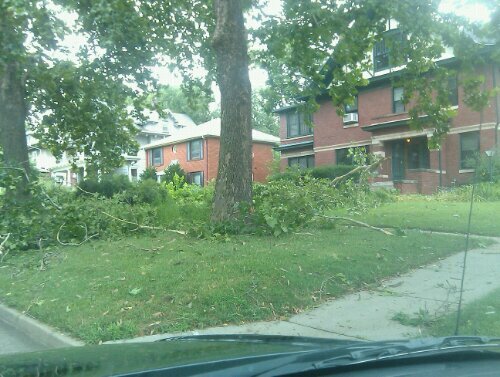 The front yard of this house on B Street was littered with branches from one end to the other. 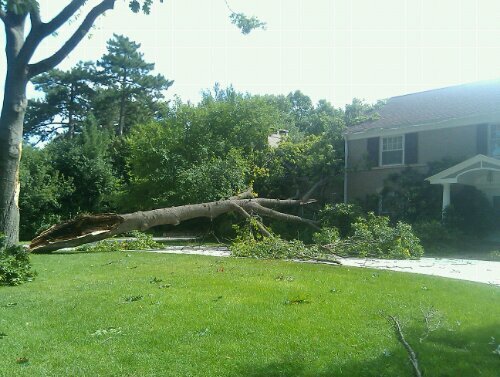 A large tree crashed into a large house on 24th Street in the Country Club Neighborhood. 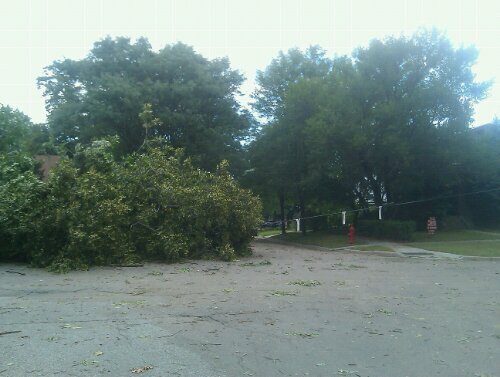 This tree took down a power line in about the 2000 block of B Street. 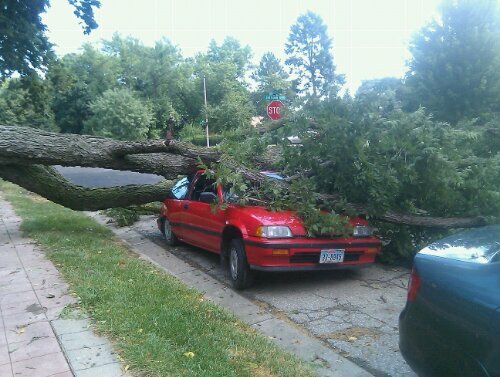 Tree attacks car on Sheridan Boulevard and Woodscrest Boulevard. Do you have a storm story or photo? Email them to me at deenawinter@hotmail.com.